We know that conditioning hair regularly, based on your hair type and texture, is essential for healthy hair. But, what are the proper hair conditioning techniques? Let’s start with why hair needs to be conditioned. Washing, drying, styling, and products strip the natural oils and vitamins from hair—leaving it dry and hungry for essential nutrients. Conditioning restores moisture and vitamins to your strands, which keeps them soft, hydrated, and healthy. Conditioner is like a glass of water plus a multi-vitamin and omega-3s for your hair! First, wash your hair and rinse out all excess shampoo. 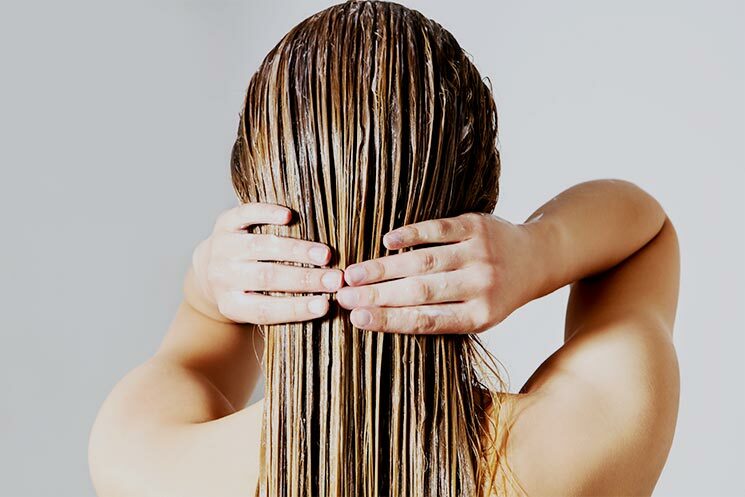 Extra shampoo can irritate your scalp and leave an oily film on your hair. Next, squeeze conditioner into your palms and rub them together to evenly spread the liquid. Grab your hair as though you are pulling it into a ponytail and run your hands down the strand from crown to end. We suggest moving your fingers as you work through your hair to ensure all sections get coated. Then, let the conditioner stay on your hair for at least 3 minutes. You can twist it into a low bun to keep the strands out of the way and coated. Use this time to exfoliate, shave or pamper yourself. Lastly, rinse out almost all of the conditioner—the biggest mistake is to rinse it totally out. You don’t want to feel the product, but you do want your hair to feel soft, smooth and moisturized. Properly conditioning your hair is key to its healthy and vitality. For more haircare and beauty tips, visit our blog page or contact the professional team at Salon Sleek.